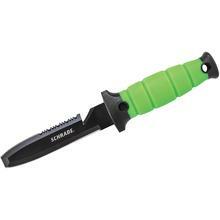 Schrade Knives has been offering dive knives for many years. The Water Rat series dates to the 1990's and has been a favorite of divers from the beginning. It's a great dive knife. Look for innovation in dive knives from Schrade Knives.